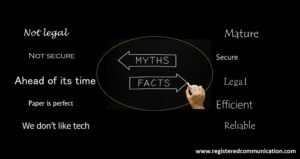 What are the myths and facts about registered electronic communication? We put the common misconceptions to rest. What is KYC? – My $#*& bank just froze my account!